Bob Hunt Automatics: The Hunter Valley’s Premiere Automatic Transmission Specialist. The automatic transmission in your car is basically a gearbox that automatically shifts gears for you as you drive. It is a complex piece of machinery that has many different components to make it all work. Your vehicle’s engine connects to the automatic transmission via a bell housing that contains a torque converter. This torque converter acts similar to the clutch in manual transmission vehicles as it allows you to change gears smoothly – based on the speed you are currently travelling at. It is a good idea to fix or service your automatic transmission at the first sign of trouble. As soon as you experience any of the following warning signs, you should take your vehicle to a trained specialist, such as Bob Hunt Automatics and have your automatic transmission looked at. The longer you leave a minor problem with your automatic transmission, there is a much higher chance of you causing major damage to other components in your vehicle – thus costing more money to be repaired. The transmission refuses to engage drive or reverse or change gears as you drive. The transmission keeps neutralising out of gear as you drive. The transmission is noisy when you engage a gear. Your vehicle is leaking transmission fluid. You can smell burning transmission oil when you drive. Your vehicle shakes and shudders when your transmission changes gears. The transmission starts to make an unnatural sound that you have never heard before. You experience high revs when you push on the accelerator but your vehicle does not increase speed. You have never had your automatic transmission checked before. Automatic transmissions are an extremely complex piece of machinery which contains many different moving parts within. The automatic transmission in modern vehicles are even more complex as the transmission’s functions are controlled by a series of computers inside your vehicle’s operating system. Therefore, you need a specialist like Bob Hunt Automatics to service and/or repair your vehicle’s automatic transmission. Bob Hunt has decades of experience working with automatic transmissions and he will be able to use his expert knowledge to solve your automatic transmission problems and help prevent any troubles you may have in the future. 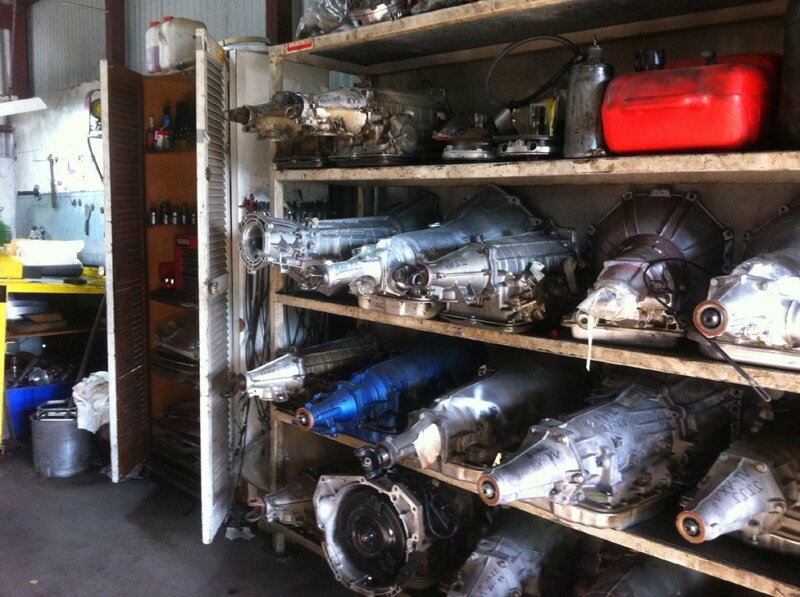 If you are experiencing transmission troubles and you would like to have your automatic transmission serviced by the Hunter Valley’s premiere automatic transmission specialist, then contact Bob at Bob Hunt Automatics. Bob will arrange an appointment for you and fix any problems you may have with your automatic transmission. You can contact Bob by calling 02 4933 1141 or via the contact page.